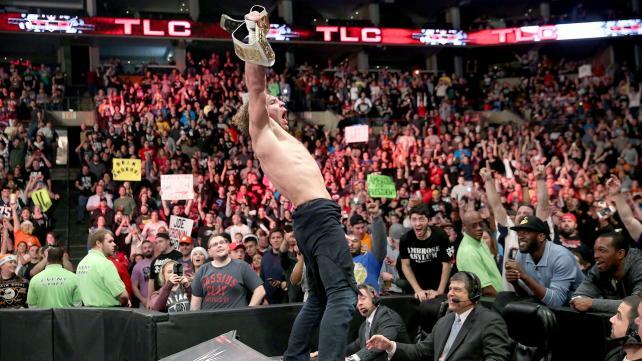 After an eventful WWE TLC PPV event on Sunday, hosts Trevor Robb and Brian Swane give their thoughts and reactions to a number of shocking conclusions, including (SPOILERS) Dean Ambrose winning the Intercontinental championship, and Roman Reigns laying the boots to Triple-H after losing to Sheamus in a ladder match for the WWE World Heavyweight Championship. All that and more in this episode of TBR! Tags: 780 Sports, Big E Langston, Bray Wyatt, Brock Lesnar, Daniel Bryan, Dean Ambrose, Edmonton, John Cena, Professional wrestling, randy orton, Royal Rumble, Seth Rollins, Triple H, Turnbuckle Radio, Wrestlemania, WWE, WWE Raw. Bookmark the permalink.